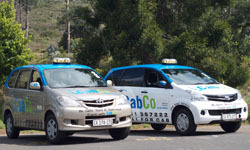 Cabco is currently the largest meter taxi company operating in the Southern Suburbs. 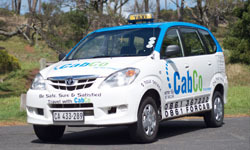 Cabco is currently the largest meter taxi company operating in the Southern Suburbs. Our Tariffs are the lowest in Cape Town, Our call centre operates 24hrs a day & 7 days a week. Our vehicle are all satellite tracked to ensure the safety of our clients at all times. Personal account holders enjoy priority bookings and have 24/7/365 access to our service. We supply over 12,000 trips per month to our public sector customers who are spread throughout the Southern Suburbs. 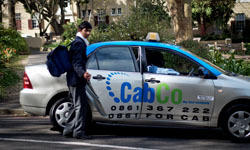 A corporate account gives you the convenience of having instant access to taxis across the city of Cape Town.